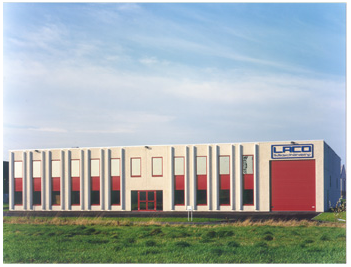 LACO Machinery, established in 1994, was founded by the Family Lapauw. 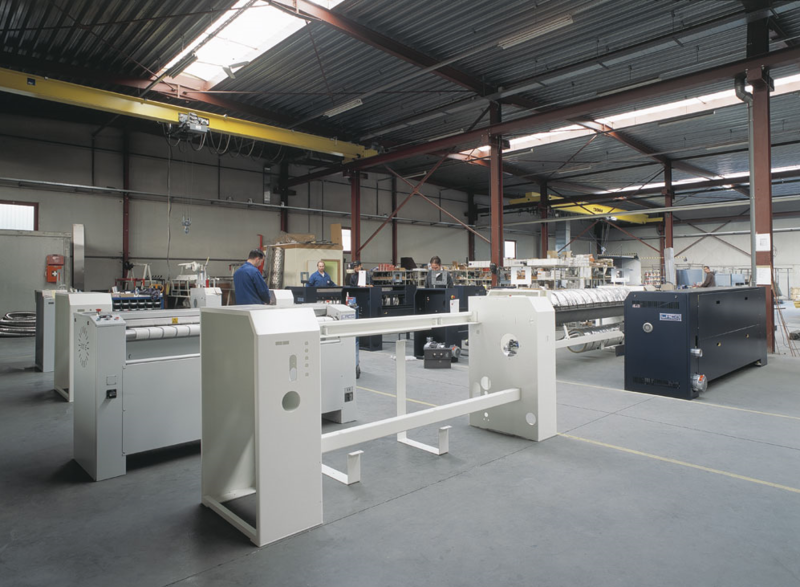 LACO Machinery produced it's first single roll 500mm diameter gas heated ironer at it's current site in Kuurne Belgium. The range was expanded with the smaller 350mm diameter. 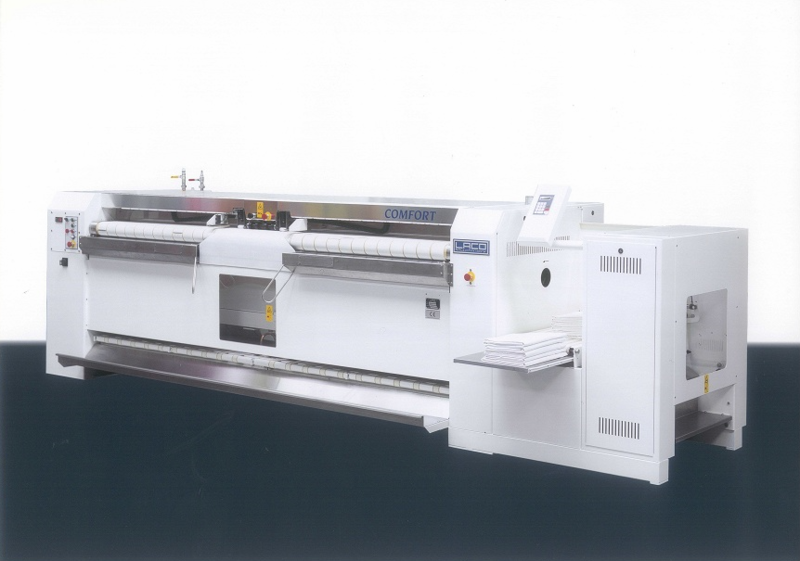 At request of customers the 350mm ironer gets expanded to a 370mm ironer. Both gas as electrical heated. 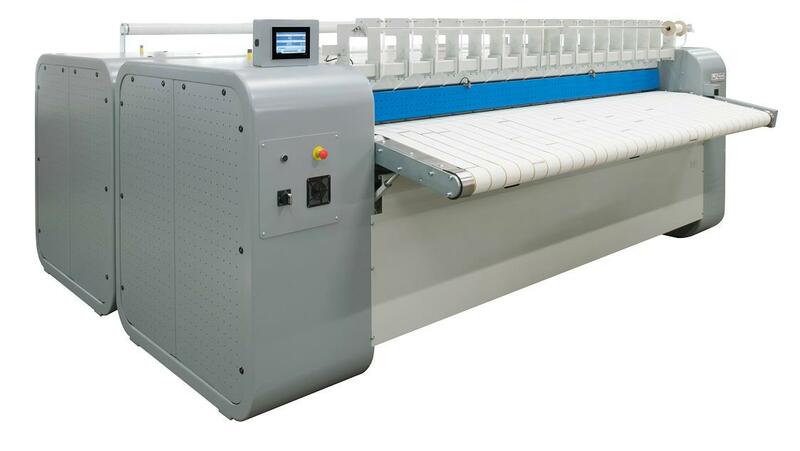 - An automated ironer with feeder, folder, cross-folder and stacker was presented at the Texcare show in Frankfurt. The machine was developped in 500 and the new 600 and 800 diameters. The COMFORT was born. -By building the Comfort 600 and Comfort 800, the standard ironing machine D600 and D800 was designed and added in the product range. 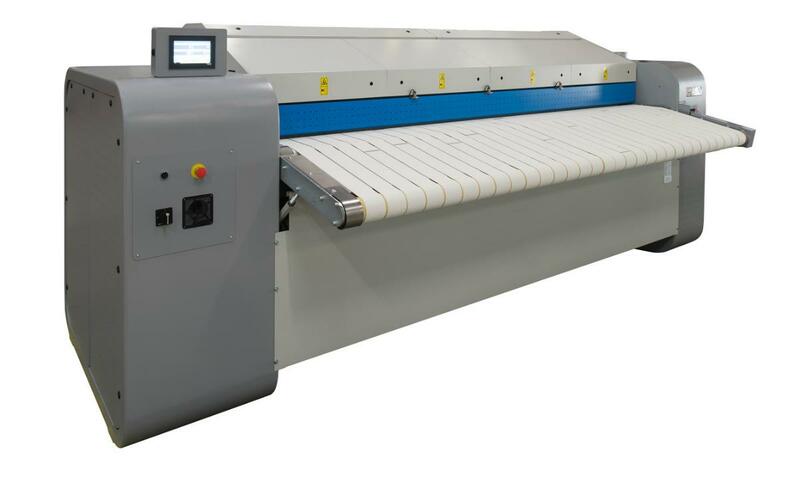 The ironers with a roll diameter from 370mm and 500mm get a new shape. The baty's get a chamfer. The factory gets expanded by adding 500m² more production facility. The total production space is now 1500m². 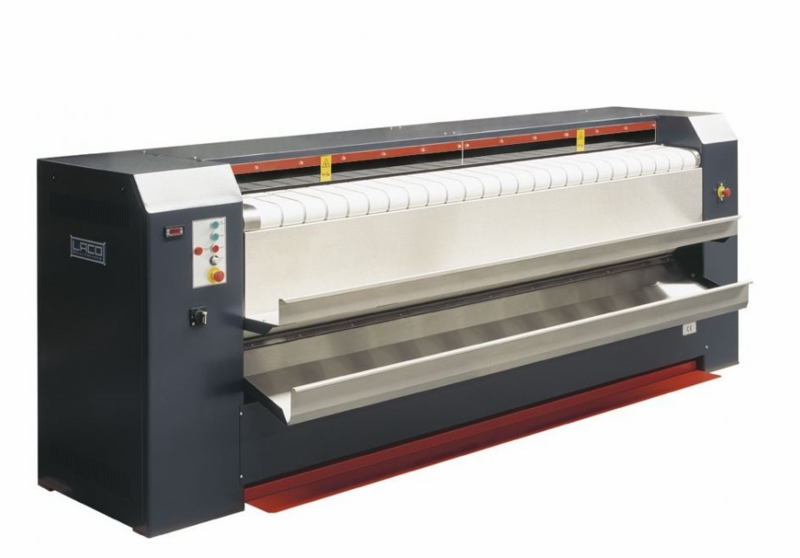 LACO Machinery desings the M300 x 1800 and D300 x 1800 Electric heated ironer. - LACO Machinery desings the LACOFOLD. 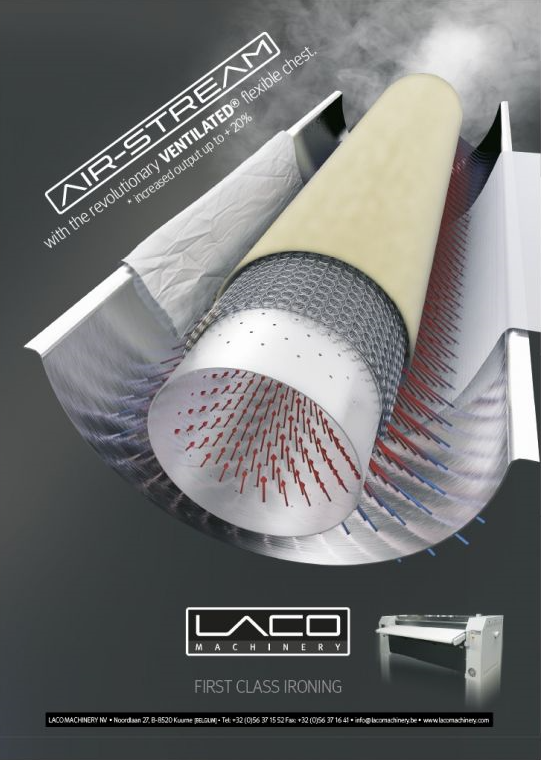 - LACO Machinery desings the Comfort "Evolution", the successor from the normal Comfort. This with the coorporation of B&R (control) we obtain a higher ironing production capacity. The company was commercially split from it's sister company, Lapauw International, and started implementing it's own commercial policies. Also that year a second generation Lapauw, Thibault, the son of Dominique joined the LACO management team. Dominique Lapauw has taken complete control and ownership of the company. 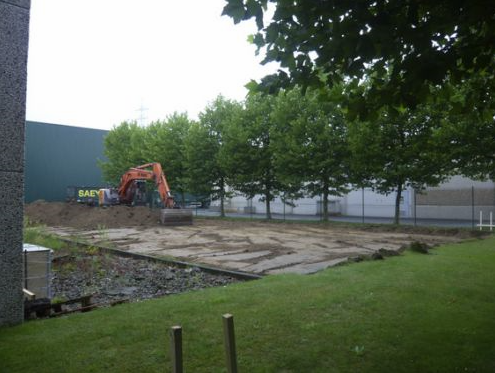 LACO Machinery intends to invest in its Kuurne location by adding 200m² office space and 1200m² production facility. 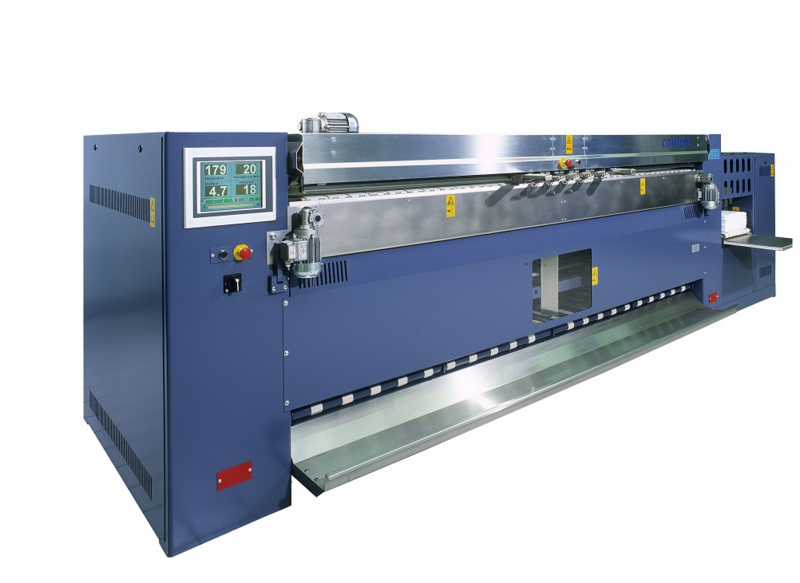 - LACO Machinery desings the D800 x 1300 ironer. - LACO Machinery designs the Magic folder. 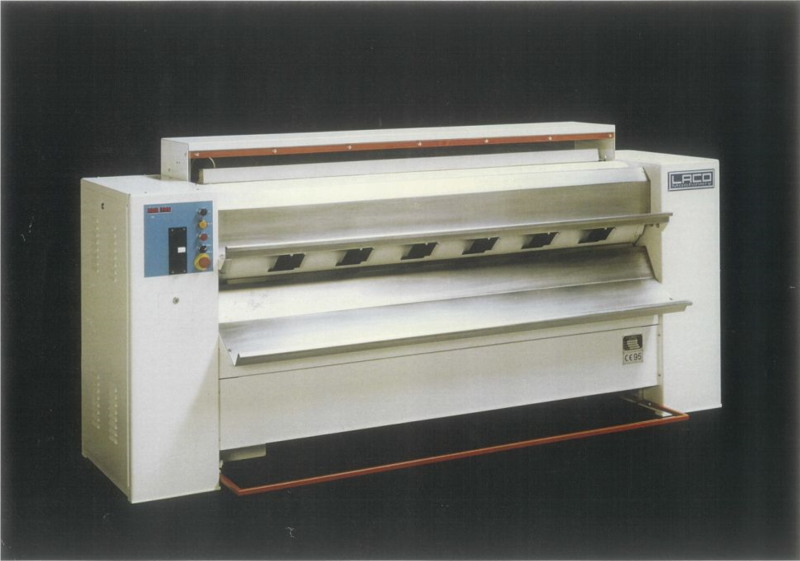 - LACO Machinery designs the longer feedingtable for their ironers. The feedbands can be extended by 500mm or 800mm. 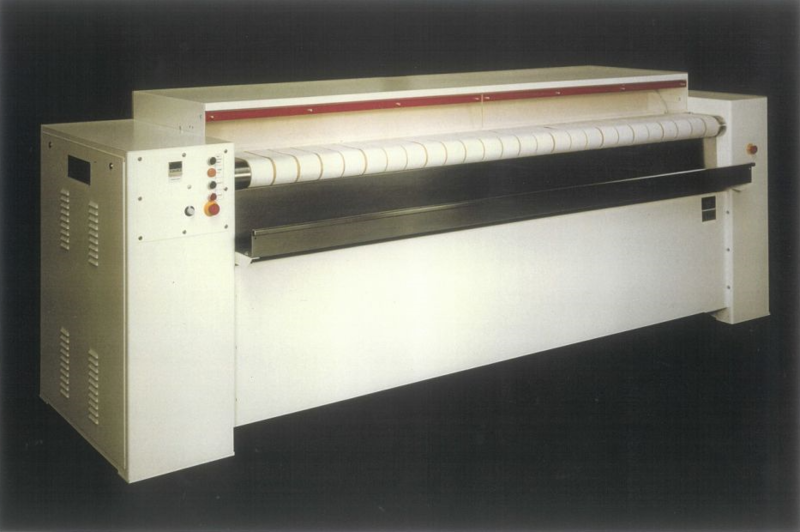 The feedbands can be driven seperately or driven by the chain from the ironing roll. - The LACO Machinery logo and website get refreshed with a new style. 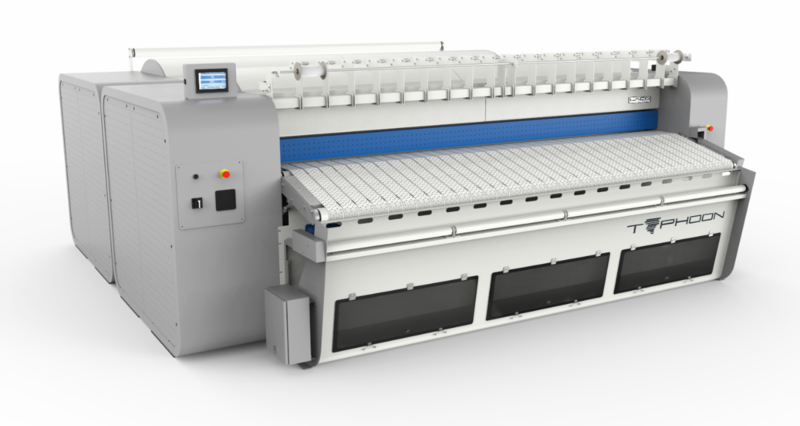 - LACO Machinery launches a second brand called SECOMachinery. This brand is responsible for the smaller production capacities up to 80kg/h. 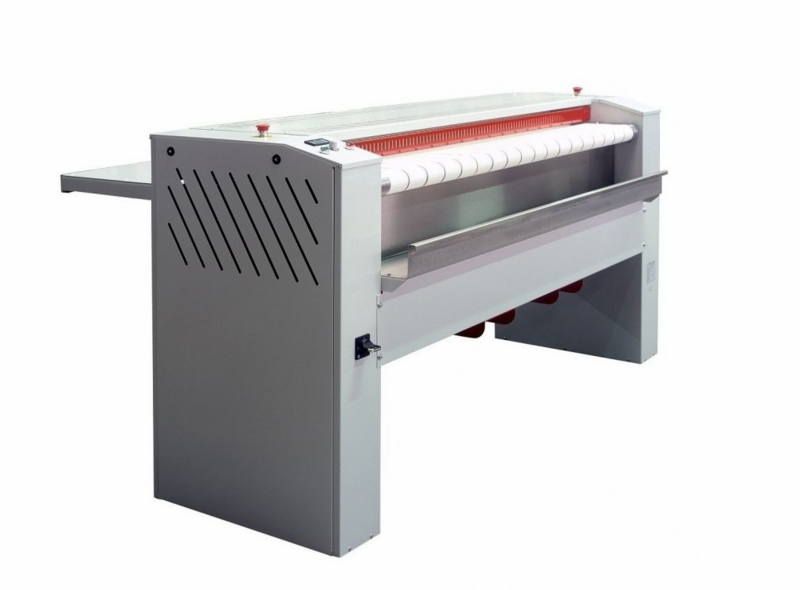 - LACO Machinery designs the EASY feeder for the M370, D370, M500, D500, D600 and D800 ironers. - LACO Machinery designs the CROSSBOX. - The offices get updated. - LACO Machinery gives a new look to the D800. This concept was shown at the exhibition in Milan at Expo Detergo 2014. - LACO has deliverd their first D802 (Duo 800 roll). - LACO Machinery will build a complete new production plant. The production space will be 5000 m². More information will follow. 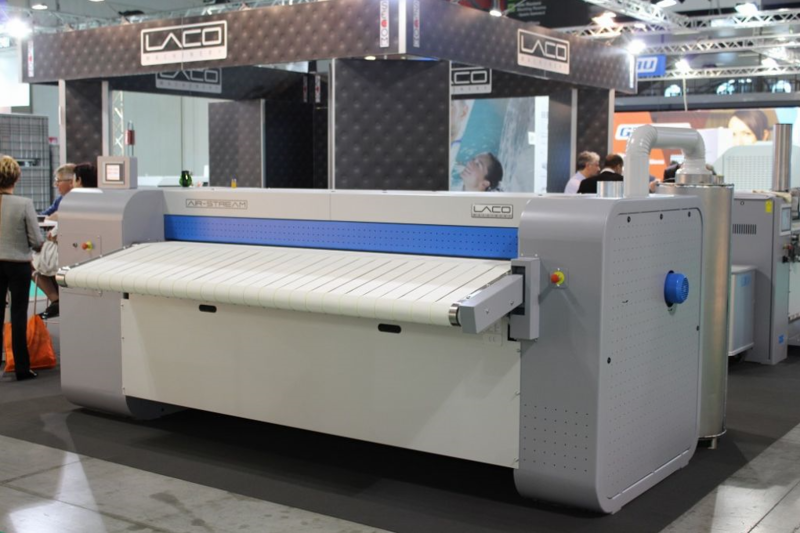 - LACO Machinery delivers their first D802 and K802 ironers. - LACO Machinery designs the Typhoon. 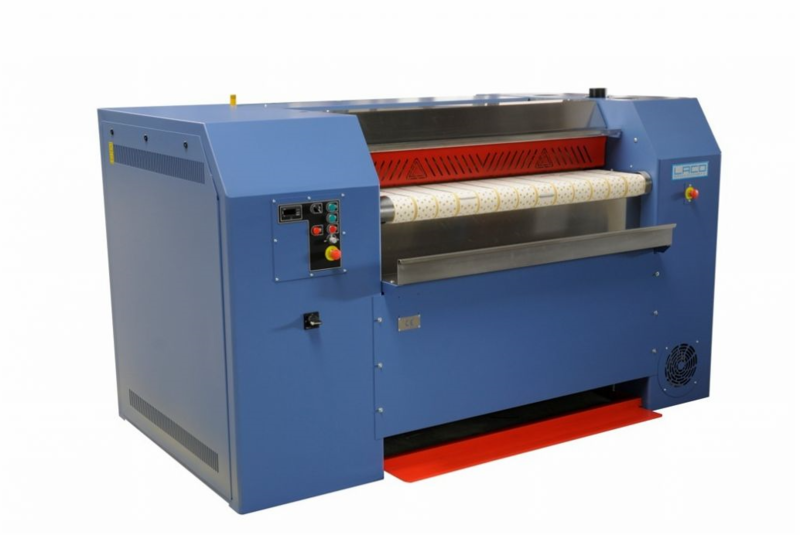 - Due high demand from customers who want 1200mm diameter ironing rolls, LACO Machinery build and deliver their first 1200mm diameter ironing rolls in 2017. The ironers are called D1200, D1202 and D1203. 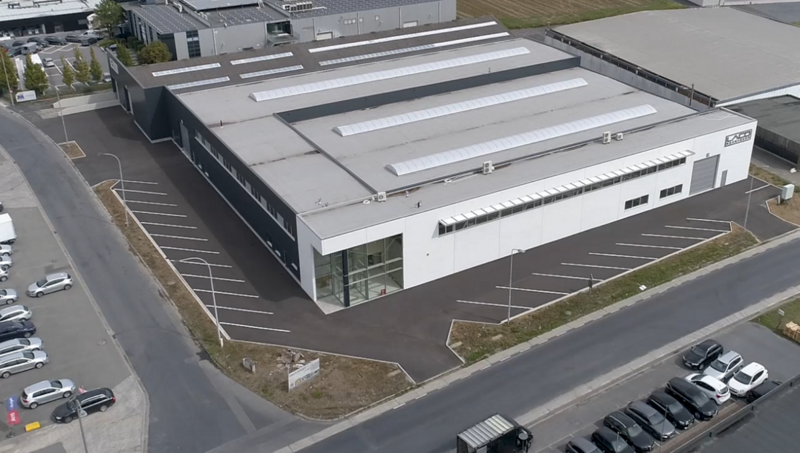 - The new factory (5000m²) is in use.